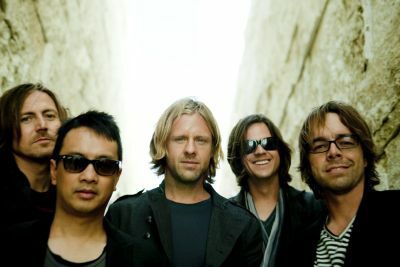 Alternative rockers Switchfoot are bringing out a new album, which they shall promote with a short UK tour. The San Diego band release their eighth studio album ‘Vice Verses’ on September 26, a fortnight after its lead single ‘Dark Horses’. Production work on the album, recorded at the group’s own studio in their native city, comes courtesy of Neal Avron. The quintet describe ‘Vice Verses’ as “more eclectic” as their previous albums. Ticket information for the shows can be found on http://www.gigantic.com/switchfoot. Meanwhile, ‘Dark Horses’ and ‘Vice Verses’ can be pre-ordered on Switchfoot’s website.